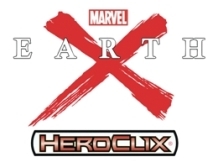 Okay, I've not read Earth X, but that is because the story does not appeal. 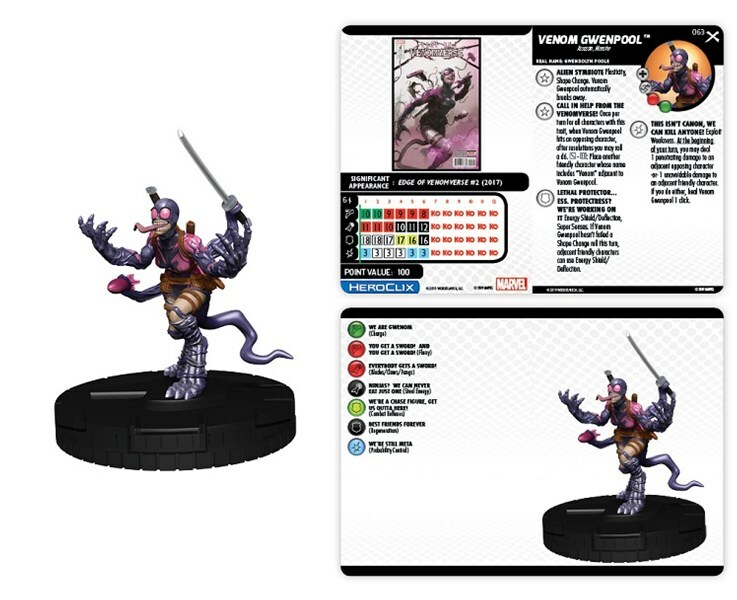 The character selection in this set holds little interest, but at least there are some unmade characters. 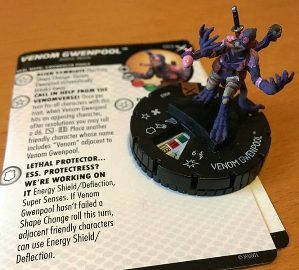 I'm not a big fan of Venom, so to have yet another set of Venom Chase figures is quite underwhelming. And to top it off I sadly didn't enjoy the pre-release. with art by John Paul Leon. 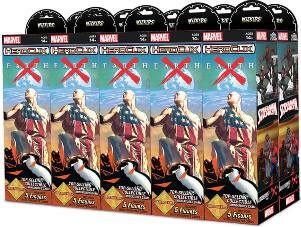 Based on Alex Ross' notes, the series features a dystopian version of the Marvel Universe. 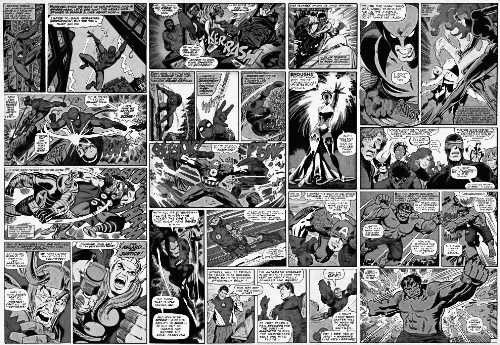 Bruce Banner of Earth 9997 differs from the more well known incarnation of Banner/Hulk. 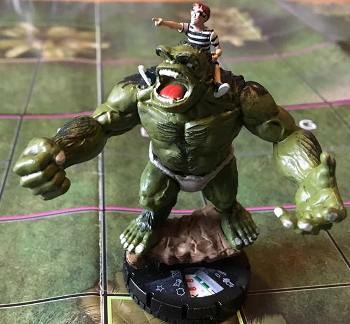 When he mutates he separates into two entities, a ten year old Bruce Banner and a primitive Hulk. 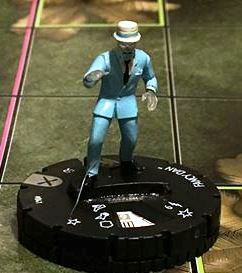 This is by far my favourite figure from the set. 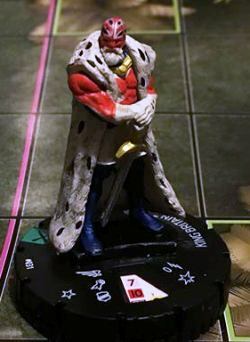 King Britain is Excalibur's Brian Braddock of Earth 9997. 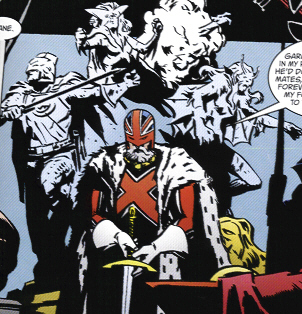 King Britain and Meggan were married to each other and they continued to fight in Excalibur. After the worlds mutation Excalibur fought against the Grey Gargoyle. 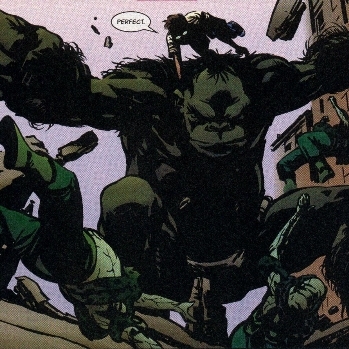 Fancy Dan and the original Enforcers (Montana and Ox) make their first appearance under the employ of the Big Man. 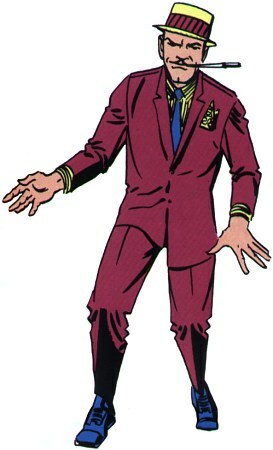 During this time, they have their first run-in with their long time nemesis Spider-Man, but Spider-Man defeats the trio. 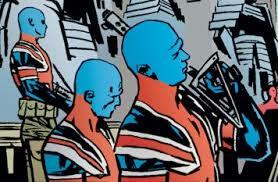 The Union Jacks are a group of soldiers that are biologically engineered to be the perfect fighting force. 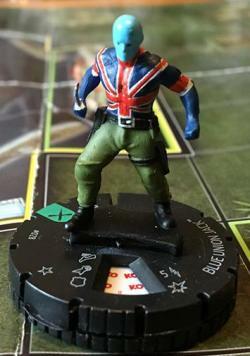 They are modelled after the legendary line of costumed adventurers who took on the mantle of Union Jack. Each warrior's skin is patterned like the British flag. These warriors defend the United Kingdom, with an armed guard stationed at Buckingham Palace, home of King Britain. 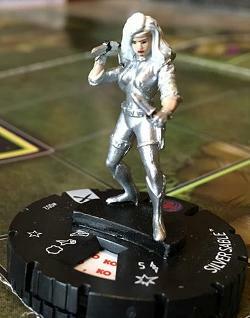 Silver Sable leads the mercenary group The Wild Pack. 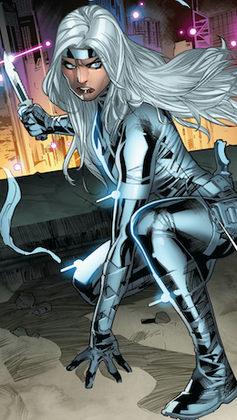 Their operations drive the national economy of the small European state of Symkaria which lies next to Latveria, the nation ruled by Doctor Doom. 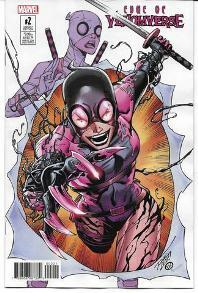 Gwenpool of Earth-TRN646 is bonded with a Venom symbiote. 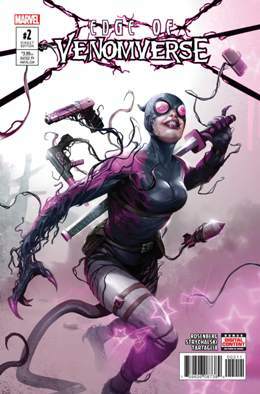 She teamed up with Daredevil and battled the Hand.